In recent years, considerations such as emergence and re-emergence of diseases, including Ebola, or the use of chemical weapons in Syria, have highlighted challenges pertaining to public health and assistance facing the international community. Many lessons have in the meantime been learned. The Eighth Review Conference gives the international community the opportunity to consider the potential contribution of Article VII to those considerations. 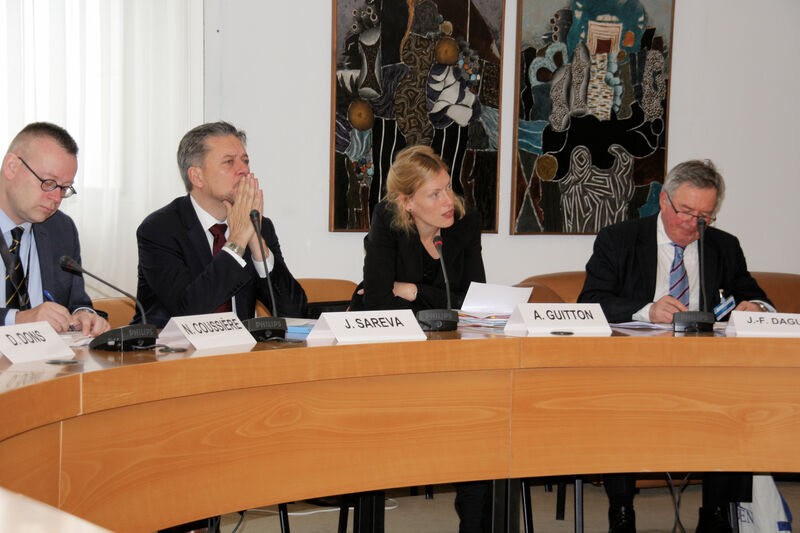 To this end the Fondation pour la recherche stratégique (FRS) and the United Nations Institute for Disarmament Research (UNIDIR) convened a workshop on 8 and 9 November 2016. The primary goal of the exercise was to stimulate reflection on the decision-making processes both within a BTWC State Party and by the international institutions that may become involved if Article VII were to be activated. It also aimed to identify issues that require further study and clarification. The workshop benefited from financial support by France and the UK Foreign and Commonwealth Office. Twenty-six national representatives and experts from civil society organisations, including public health and disarmament experts, participated in the exercise. The exercise enabled participants to exchange views based on a scenario involving a pneumonic plague outbreak in several locations. All victims had been exposed to the same genetically-modified strain displaying enhanced antibiotic resistance. The circumstances aroused suspicion about possible deliberate release. The scenario covered only the timeframe between the detection of an outbreak and the moment when the international community would be called upon under Article VII of the BTWC to offer assistance to the country suffering a major outbreak. The exercise comprised three breakout sessions. In each session the plot advanced to the next stage of major decision-making by governments. Workshop participants were instructed not to play the scenario, but to consider themselves as a committee of government officials that has to assess alternative policy options and make a final recommendation to the minister. Participants split into three groups, each one representing a different perspective, namely that of the country in which the outbreak was first noticed, the neighbouring country suspected of being the perpetrator of the attack, and a nearby neutral country that might conceivably become an assistance provider. The exercise was designed to examine specifically in which ways the BTWC as a disarmament and security treaty could contribute to mitigating a (suspected deliberate) outbreak in addition to other international assistance mechanisms. It factored in the current lack of procedures or mechanisms for its implementation. This synthesis aims at underlining the main conclusions reached and questions raised during the tabletop exercise.